So I finally took the plunge. After 3 years of thinking I’d like to try this whole green smoothie thing I just did it. Now I am NOT a health nut. I have a policy if I’m going to be eat it, it better be worth the calories. And mind you the “worth” I use is purely a function of taste -not nutritional health. Any ways I’ve been drawn to these green smoothies since my neighbor first told me about them back when we lived at the condos. I found a couple of combos that I really enjoy (I’ve been drinking them every morning). I’m someone who has to force herself to eat veggies and would eat bacon and cookies every morning so trust me when I say you can’t taste the “green” in these. coconut juice to desired consistency. I put my bag of spinach in the freezer just so it last longer and I think it blends up easier but I did it once with fresh leaves and it was almost the same. If you’ve been thinking of trying green smoothies I think these are good ones to start with. Also I’ve got a ninja blender and I absolutely LOVE it. It blends things up like a charm and my favorite part is that it has 3 different sized chambers and the smallest is perfect for 1 smoothie. If you’re a green smoothie pro I’d love to hear what some of your favorite combinations are. We have THREE bags of fresh spinach in our refrigerator right now so guess what I’ll be trying out! i’ve never tried a green smoothie but want to – and i have lots of spinach in my fridge so i’m going to try this one later this week! thanks for sharing! I’ve been buying spinach with the intention of giving it a go and every time I chicken out and use it in recipes instead. Your smoothie turned out pretty – I’ll have to try these recipes. My favorite is kale, cilantro, lemon juice and a dash of salt. And blueberries are a good disguise for the leafy greens too. Thanks for linking up! I have friends who drink these smoothies and swear by it. Perhaps I should give it a go? Give the old immune system a boost! 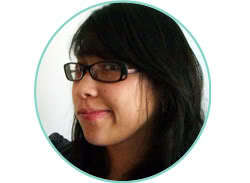 Brand new Linky Follower from the Take it on Tuesday blog hop. I was so intrigued by the green smoothie. Going to have to pin that. So cool! Please say ‘hi’ if you come by! My husband and I have gotten on a huge smoothie kick lately and I’ll have to see if he’s up for these. I think they sound pretty delicious! Thanks so much for linking up to this weeks Tutorial Tuesday! I love the idea of freezing your spinach! I will for sure be trying the first recipe soon. I’m always looking for good (not tooo healthy :) smoothie recipes! MmmM – these look great! 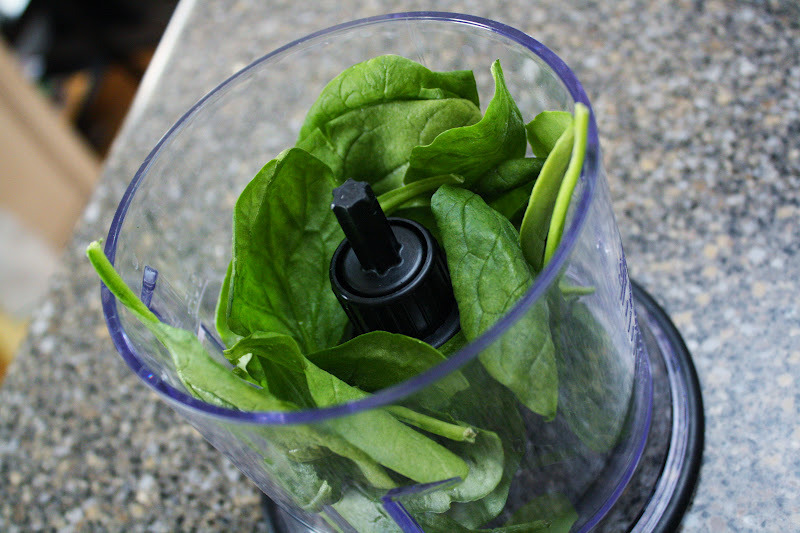 Whenever I have fresh spinach on hand, I tend to put them in whatever smoothie I’m making. I almost never have to put spinach in the freezer, but I’m glad to know that it works well if I want to. Thanks for linking up to the Take it on Tuesday blog hop. I’ll be pinning this! I have to admit, I’ve always been a bit turned off by these green smoothies because, well, they are green and I am an extremely picky eater. I don’t really have a sense of smell, so the look of my food is more important to me than most people. However, I have been interested in them simply because like you, everyone I know who tried them says they are good and you don’t taste the spinach. Someday I need to get over the looks and taste them myself. Everyone could probably use some more fruits and veggies in their diet, so thanks for sharing on the Your Cozy Home Party. I’m going to try these out on the kiddos. This is great! I love smoothies! I have the same one almost everytime though. ** and I have put spinach leaves in it before too! and your right you can’t taste them! Anyways, I would love for you to come by our Naturally-Nifty Linky Party and link this and any other great stuff you have up! Thank you for sharing this, I am a huge smoothie lover but have been scared of the *green* smoothies. I will be trying it for sure now. I’d love for you to share this with our readers at our linkup. I’m the opposite, I have to force myself to eat fruit. I knew, weirdo right. Anyway, this smoothie would be perfect! Thanks so much for sharing at our party this week, and by the way, I’m a new linky follower. I think I may have to try this! Thanks for sharing! You and I are on the same page. I am not a huge health nut but I’m not going to go to a fancy coffee shop and get a 500 calorie drink AND pastries to start my morning. 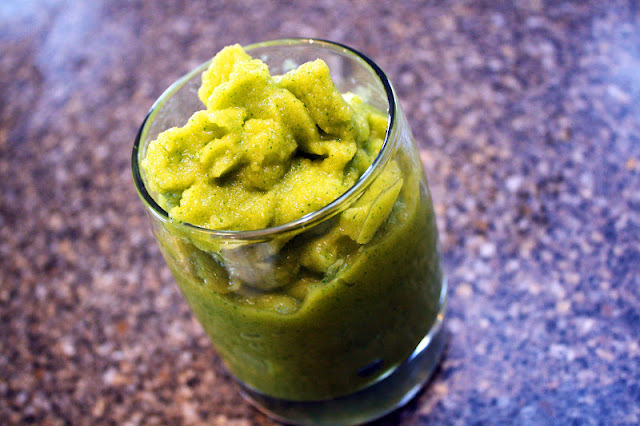 I haven’t tried this recipe but I love “green” smoothies! 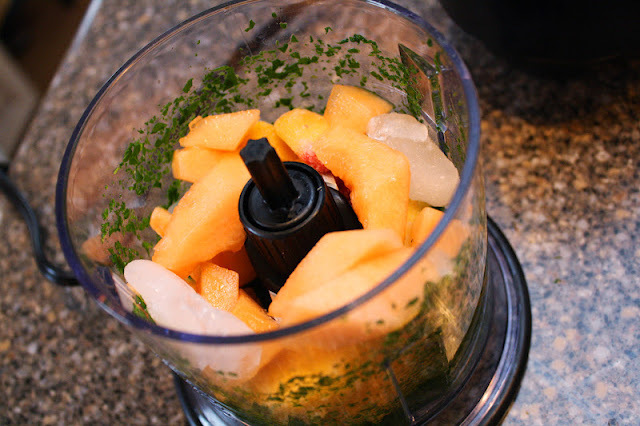 I use pineapple-mango frozen mix,blueberries,spinach & banana’s plus nutmeg,cinnamon,ginger & water.Watermelon & kewi are also good,if you want more vegis try carrots.I also love strawberries and grapes in them.Thank you for the post & have a wonderful day!